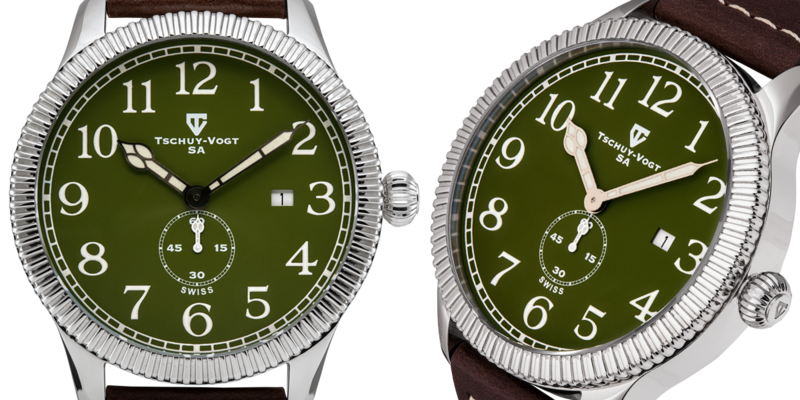 THE CLASSIC MILITARY FIELD WATCH GETS AN UPGRADE. Ready for battle with a Six Pounder and a cruising speed higher than most in the fleet, the A24 Cavalier was a versatile tank utilized by the British in WWII. 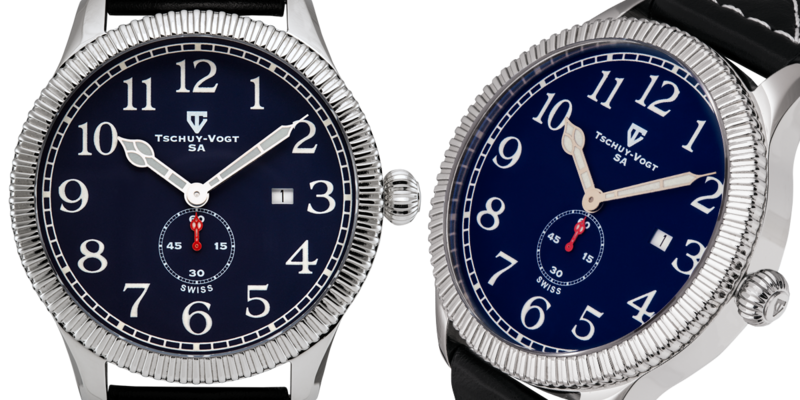 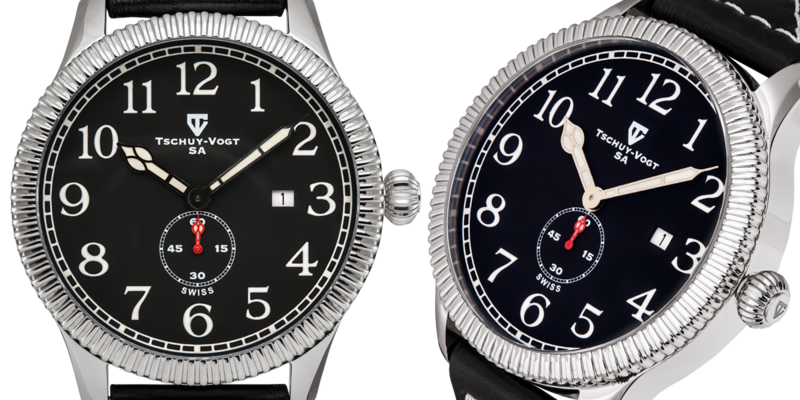 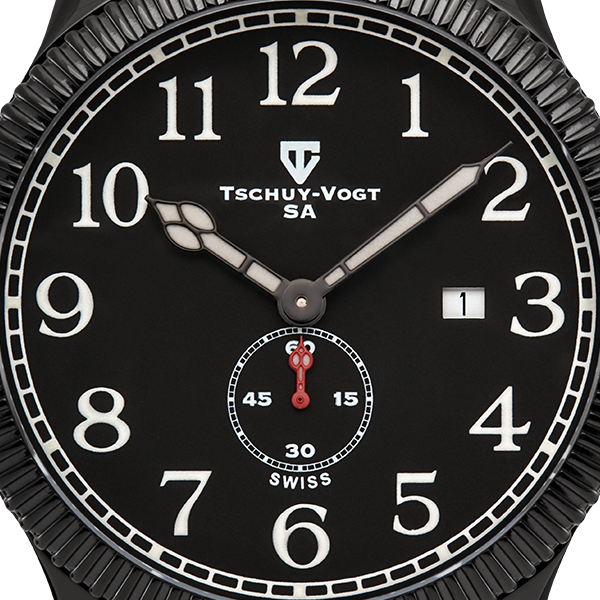 Tschuy-Vogt A24 Cavalier men's military design watch, Sapphire crystal, Superluminova, coin edge bezel. 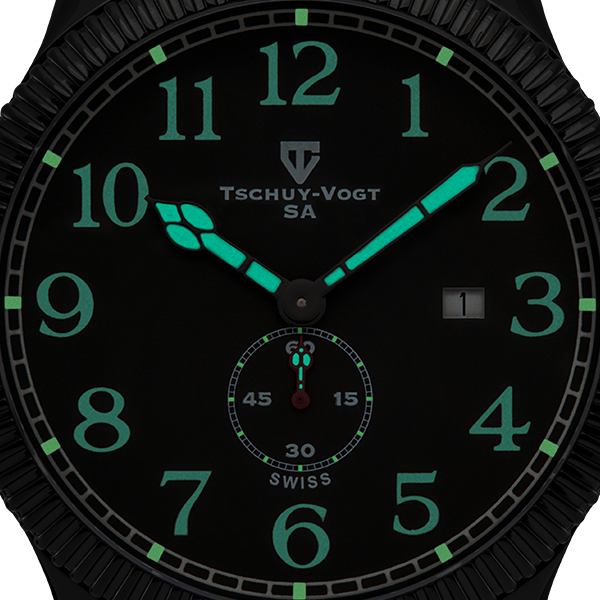 Like its namesake, the Tschuy-Vogt A24 Cavalier is also versatile due to its clean design nature and intense use of both C3 and BGW9 compounds of Superluminova. 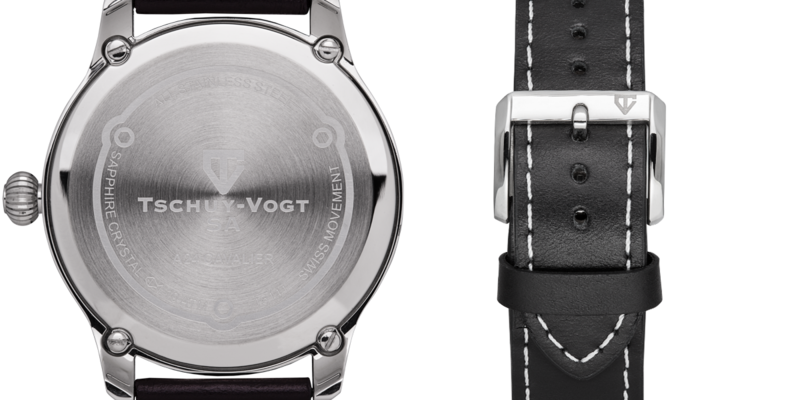 That means you can wear this watch with almost any attire, day or night. 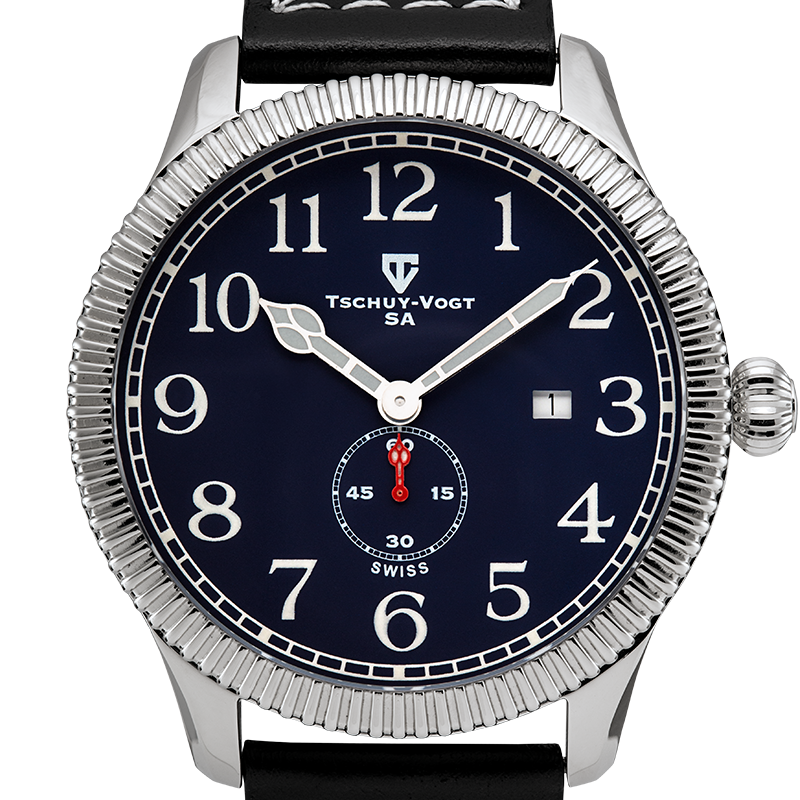 Protected by a massive Sapphire crystal, this 45mm stainless steel watch gives you simplified time told by a large hour and minute hand with a subdial seconds down at the 6 position, and date at the 3. 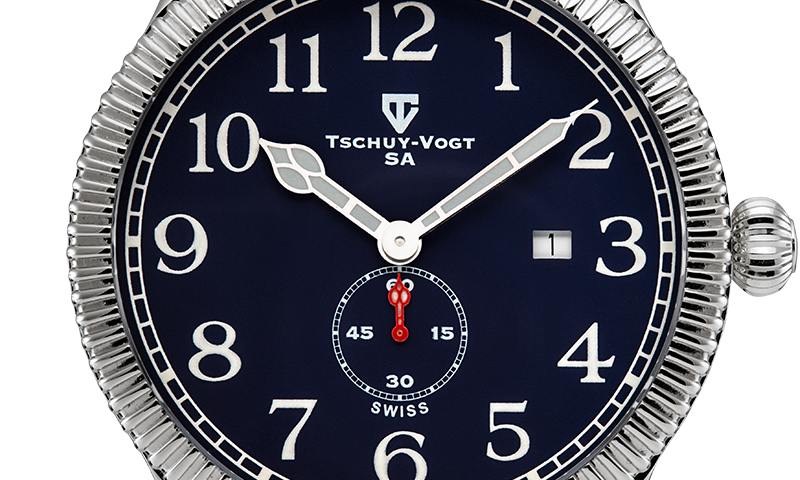 All displayed on a matte finished dial that reflects no glare, even in the most direct sunlight..